Choosing a method isn't easy when you have your running and life in mind. *Published with permission from Runner’s Connect. It is sometimes hard to believe that there was ever a time before the internet. Today, one can date, shop, attend school, chat, and share meaningful life events, all without leaving the comfort of home. In many ways, this age of technological dependency is wonderful. It seems that you can find an answer on the internet to almost any question. Over the past 10 years, as a runner, the internet has been an invaluable resource, letting me know when to ice a sore muscle and when to heat it, filling me in on what vitamins the Olympians are taking so I can up my arsenal, and showing me where the best trails are when I am visiting a new city. I stared blankly at the screen as the resulting pages scrolled by. There was forum after forum, each asking the same question I was. The only pages that were remotely scientific contained data so general and vague that the conclusions drawn simply stated that different forms of birth control affected different women in different ways. Duh. After a few minutes of worthless browsing, I turned to a somewhat more promising, not quite as objective corner of the internet: Facebook. I sent a mass message to 60 female runners that I thought might have some experience with the effects of birth control on their running. The responses I received were staggering. Immediately, the replies came pouring in, venting frustration similar to my own. Like me, most of these women had used the internet at some point to seek out how different forms of birth control might impact them as athletes, only to find inadequate research and frustrating forums. The message thread grew longer and longer as these women runners began to share their experiences with different methods of birth control. For most, finding the right kind of birth control was a trial and error process, and I eagerly soaked the information up. As the stories continued to build, I realized that within the context of a Facebook message, I had probably gleaned more data on how birth control affects female runners than exists on the Internet to date. This information is too valuable not to share, so I’d like to reveal my findings to you. 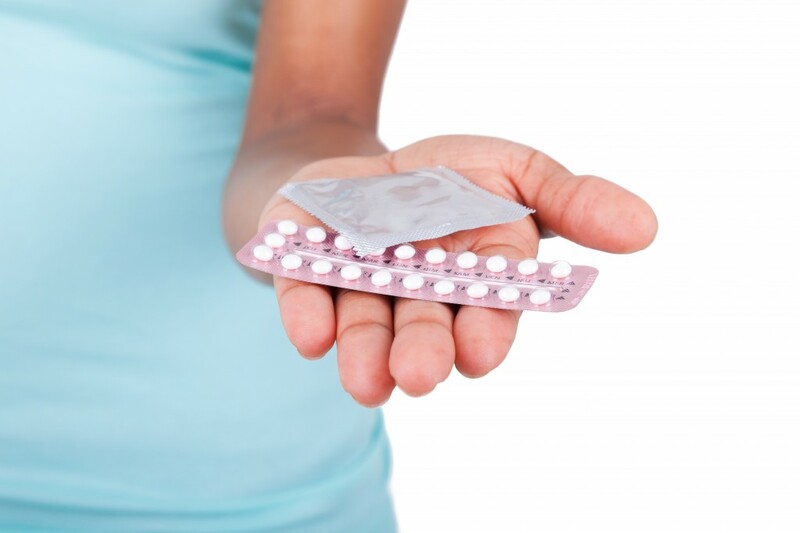 A very popular method of birth control among women today, the pill has both downsides and upsides regarding its affect on the runner’s body. The Upside: Often, female runners over train to the the point that they experience amenorrhea, the loss of the menstrual cycle. The pill, especially a pill with a low hormonal dose like Levlen, can encourage the body’s period regulation, reducing the risk of osteoporosis later in life for runners who would otherwise lose their cycle. Even if the evidence of the cycle itself does not return, the calcium uptake in the bones is present while on the pill. The Downside: For many runners, especially those looking to lose weight, the pill is notorious for both bloating and weight gain, leading to a decrease in athletic performance. Many of the women who had been on the pill also felt that it lessened their competitive edge, and several said that they just felt “off”. Obviously, some women react more strongly than others to hormonal shifts in their bodies, and I gathered from the responses that if you are highly affected by the hormonal changes that your body experiences during the pre-menstrual phase (PMS), you will more likely be impacted by the hormones in the pill than someone who experiences no emotional or physical changes during the pre-menstrual phase. The IUD is placed inside the uterus and left there for a long span of time (5-10 years), preventing pregnancy with the use of hormones or copper coils. The Upside: A copper IUD like Paragard (10 years) is hormone free and encourages period regularity without much risk of weight gain while the IUD Mirena (5 years) lessons period cramps and heavy flow, an enticing offer for the runner who risks the incident of a heavy period and cramps on race day. The women who responded that they had been using the Paragard IUD said that they had noticed no changes in their training and that they would recommend it for anyone. The Downside: The Paragard IUD includes heavy cramping and a heavier flow as very common side affects, and women who had used both IUDs expressed some discomfort during their runs in the days following its placement in the uterus. The Upside: Condoms, being non-hormonal, have no effect whatsoever on the runner. One woman who responded is a two time Olympian. She stated that she, and most of the elite runners that she knew, used condoms because of the negative side affects that they had experienced while on the pill. The Downside: From a running standpoint, none. The Upside: Runners are often encouraged to ignore the signs of their bodies (pain, fatigue, etc…), and natural family planning that includes temperature, cervical fluid and cervical placement charting, encourages women to get in touch with their unique internal clock. Natural family planning relies on the use of contraceptives or abstinence during the ovulation phase of the cycle and thus, is as effective as the type of contraception used during the fertile phase. Of all types of birth control, Natural Family Planning seems to be the most conducive for an unaltered training regime and will in no way affect the natural cycle of the runner. The Downside: Accurate base temperature charting in the Natural Family Planning method requires that one rises at the same time each morning, especially during the fertile phase, and this can be difficult when early morning races can throw the normal waking time off by several hours. Other than this minor detail, there are no downsides to the Natural Family Planning method. The most important thing that this exchange taught me is how vital it is that we as female athletes share our experiences with each other. So go for a run with a girlfriend, talk about the things no one talks about, and enjoy the time on your feet, away from the internet. None of the above information constitutes as medical advice. Consult your physician before considering any type of birth control method.